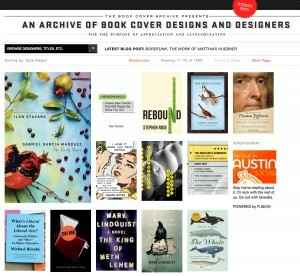 Great site for browsing book covers and the designers that designed them. Need to find a book cover? I came across this neat site the other day when needing cover images for my previous book wish list entry. The site allows you to browse and search for book and comic book covers and even save them to an account and create collections, or buy the book on eBay.